Schedule a consultation by calling 818-812-5639 today, if you have suffered an injury or illness on the job in Los Angeles you need to contact our Los Angeles workplace injuries attorney to discuss your case. On behalf of Koszdin, Fields, Sherry & Katz posted in Workplace injuries on Friday, August 03, 2018. When you leave for work in the morning you shouldn’t have to worry about getting injured on the job. Every workplace in California and the rest of the country is required to have safety policies and measures in place to protect all of their workers, part-time, full-time, subcontractors, contractors and temporary. 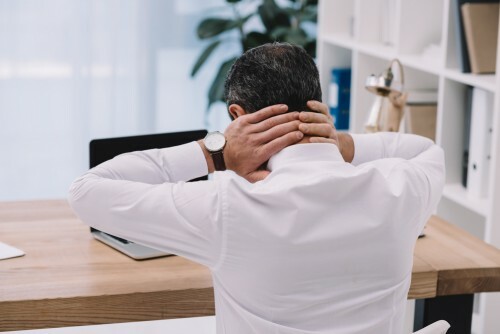 Our Los Angeles workplace injuries attorney would like to share some helpful tips for avoiding injuries in the workplace. Whether you are a brand new employee or a seasoned one, you should take all the required training offered by your employer. If voluntary training is offered you should consider taking this too. The more training you receive regarding your job will only help you in the long run. The training does not have to be strictly safety related. All types of training makes it easier to do your job the right way, which can lead to fewer injuries. All employees need to know their physical limits. When you can say with confidence that you gave it your all and you have nothing left, you can avoid all types of injuries on the job. You should never force your own hand for the sake of keeping your job. Employers should not threaten to let an employee go because they reached their physical limit, especially when you are working on your feet all day or in dangerous conditions. Not all workplace injuries are physical. There are some injuries that occur when an employee becomes sick or ill due to the conditions. For example, if you work in a warehouse or outdoors, you need to dress for the weather to prevent frostbite in the winter and heat exhaustion in the summer. In the winter you need to wear layers that protect your skin. In the summer you need to wear loose clothing that helps your skin breathe. Wear sunscreen year-round to prevent sunburn. PPE, which is short for personal protective equipment, should be worn at all times when required by your employer. Employers should provide you with the PPE for your specific job. It doesn’t hurt to purchase some extra pieces on your own too. The most common PPE out there includes hart hats, goggles, gloves, full-body suits, non-slip boots, masks, breathing apparatus, fall prevention gear and more. If you are required to wear PPE when at work, make sure you do so. It will help protect you from injuries, burns, and poisoning. All companies create safety procedures for a reason. Follow these procedures at all times to ensure your safety and the safety of your co-workers. When you fail to follow the safety procedures you put yourself at risk to suffer an injury that could put you out of work for an extended time and require you to go through extensive therapy. If you have suffered an injury or illness on the job in Los Angeles you need to contact our Los Angeles workplace injuries attorney to discuss your case. You can schedule a consultation by calling 818-812-5639 today.